Our most popular flip placard – for good reason! Each flip legend is screen printed for durability. No other placard is brighter – with colors more intense. No placard can be changed as easily. • The placard set includes eight different legends. Each legend meets DOT specifications. 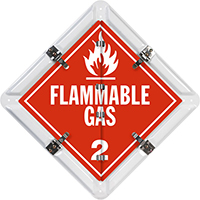 • HazMat placards are constructed from rust-free, heavy 0.032” thick aluminum back plate. Each legend sheet is similarly durable – they are also 0.032” thick (compare to 0.023” from the competitors). Each placard legend has rounded corners for easy flipping and nick-free, safe handling. No other placard system flips more smoothly. 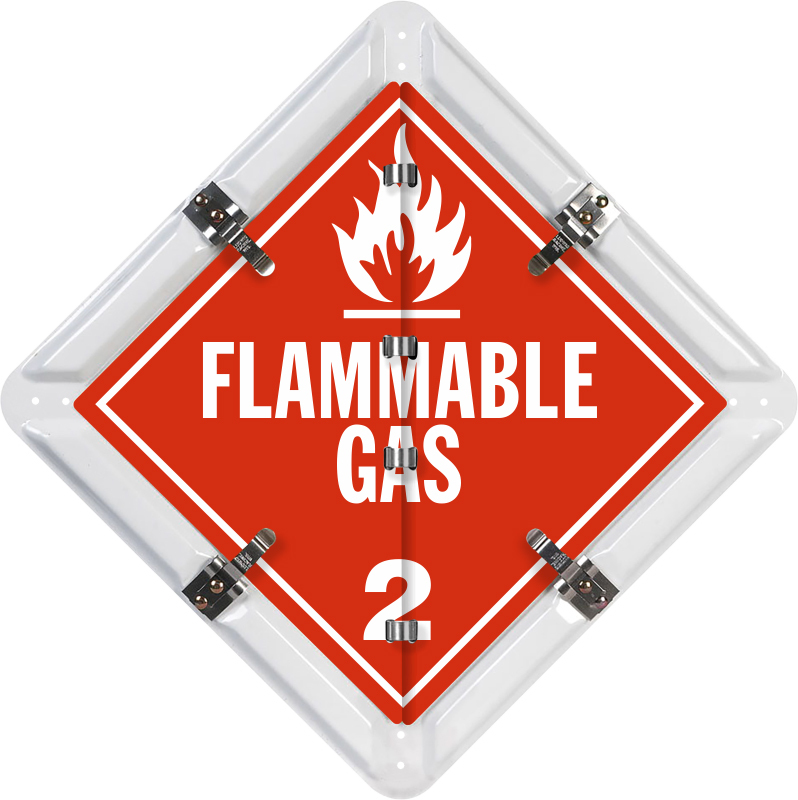 • Flip-n-Lock placards are made from painted aluminum. The white, baked-on finish resists weather, fading and abuse. White holders are ideal for white trailers.